Our guest presenter is Gary Abbott, Assistant Professor of Modern Dance in the Conservatory of Dance at the University of Missouri at Kansas City. In 2008 Abbott choreographed ‘Ballad of Emmet Till’ directed by Oz Scott for The Goodman Theater in Chicago. 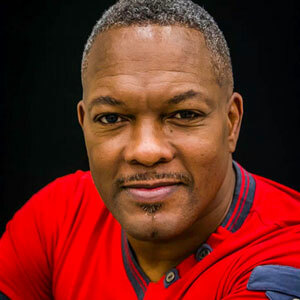 He has choreographed works for numerous dance theaters and companies, among them, Williams/Henry Contemporary Dance Theater of Kansas City, Dallas Black Dance Theater of Dallas, and Cleo Parker Robinson Dance of Denver. He has also choreographed works for Deeply Rooted Dance Theater in Chicago, Il, where he is Associate Artistic Director. The company’s mission is to re-imagine and diversify contemporary dance by bringing together modern, classical, and African-American traditions in movement. Abbott will discuss ‘Breaking the Dam.’ The movement piece is a meditation on the events that occurred in Ferguson, MO, as well as an exploration of the current state of mind around race. Event Question: Is anger ever appropriate? New Peking Chinese Restaurant specializes in Mandarin & Szechuan Cuisine. The offer a wide array of menu items. Date: Thursday, August 27, 2015.